Underneath This recently enjoyed interviewing Gunner Scott. Please learn more about Gunner in his self-penned biographical statement before reading the subsequent interview. Gunner brings over a decade of experience leading change in the LGBTQ community along with extensive experience policy development, program management, training, legislative campaigns, fundraising, and communications. 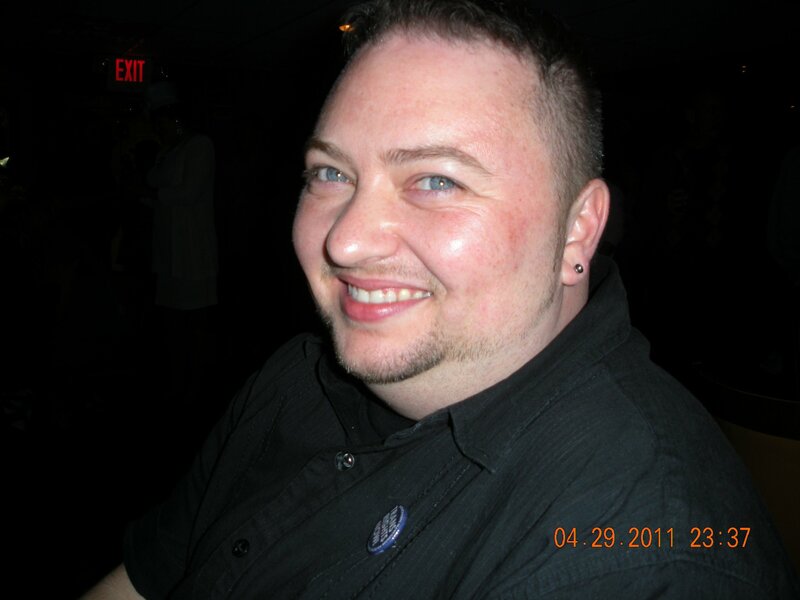 Prior to living in Seattle, he was the Executive Director of the Massachusetts Transgender Political Coalition (MTPC) where he led a five-year legislative campaign for the Transgender Equal Rights bill, which passed in 2011. Through Making Waves Coaching & Consulting, he supports artists, activists, creative professionals and entrepreneurs in developing their practices and self confidence in promoting their craft, their brand, and their passion to the world. With a 20 year background in providing mental health, substance abuse, and survivor empowerment counseling, he has supported individuals in making change. Along with his executive level non-profit management experience, he has been creative culture maker producing community arts events, including Boston’s Gender Crash Open Mic and the pop-up art show entitled, Undivided: Dewey Square Pop-up Art Show – Inspired by Occupy Boston/Occupy Wall St. He is also passionate about saving wild lions from extinction and captivity including advocating for lions to be added to the Endangered Species Act in order to stop the rapid decline of lions. Please describe your trajectory to becoming an activist. Great question, for me it started in high school with regards to environmental activism and student rights. I was not out as queer until about 23 and trans about 1999, and it was the 70s and 80s when I was in middle and high school and to be gay was unheard of let alone transgender at least where I grew up in Plymouth, MA. It was not until the AIDS crisis became more public in 1987/8 did anything about being gay come up and even then it was very homophobic. I became active in LGBTQ activism in the late 1990s when I joined the Boston Lesbian Avengers. I participated in several direct action events, marches, speak outs, and eventually participated in the vigil march for Rita Hester, an African American transgender woman killed in Allston, MA two weeks after Matthew Shepard. And following the vigil a protest at the Boston Herald and Bay Windows newspaper for their transphobic use of male pronouns and publishing her birth name and making it seem as she had “lived a double life” even though she was well known in Allston/Boston as a woman and a musician. Her murder is still unsolved. After that my trajectory was towards transgender rights and participating in the transgender movement that had been slowly building for a number of years. Eventually, I was lucky enough to work full time as the Executive Director of the Massachusetts Transgender Political Coalition, which is still one of very few trans led, trans organizations with paid staff and an office in the country. I think for me, I have always had a strong streak of fighting for the disenfranchised, maybe my own experience of dealing with homelessness as a young adult, my mom being a single parent when I was very young, having experienced poverty, homophobia, and sexism. Later experiencing transphobia and discrimination in housing and health care, but because of privilege, because of my being white, I have had more opportunities and I am treated significantly different now that my gender expression reflects a white man. I seriously get angry when I see someone being treated disrespectfully, discriminated against, often dehumanized because they are not in the majority, because they are visible different in some way. What are similarities and differences between activist communities in Massachusetts and Washington state? I am not sure I can yet point those out, if there are any significant differences. I was so embedded in Massachusetts activism, politics, and community and here in Washington, I have been slow to get involved, mostly because I needed some personal space and time to take care of myself after working on a legislative campaign for so long. I know there are plenty of opportunities here in Washington when I am ready. What were the expected and unexpected aspects of the results of the Transgender Health in Massachusetts study you co-authored with Kerith Conron, ScD, MPH, Grace Stowell, MA, and Stewart Landers, JD, MCP ? I would say one of the unexpected results was the number of transgender people that had a primary care access and I think that is because the survey was done after Massachusetts instituted mandated health insurance. I was also just pleasantly relieved that transgender people did self-identify when asked on a telephone survey. I have heard so often from data geeks and public health folks that asking more than one gender question or asking about being transgender will cause the results to get compromised from too many non-transgender people not understanding or claiming to be transgender to purposely throw off the results or that transgender people may not disclose. I am hoping that our cities and states will add additional gender categories. How was the process of developing the oral history, “Boston Area Community Leaders and the ENDA crisis? It was really out of anger and frustration with constant accusations by some gay, lesbian, and bisexual activists (GLB) and organizations that the transgender community had recently “tagged on” to the equal rights work and the transgender community is trying to get a “free ride” without having done any work for their own rights. It was like some GLB activists and politicians were saying we [transgender people] have just shown up today and expect to be included. In 2007, Representative Barney Frank alluded to this assumption in his statement he released after he introduced an employment non-discrimination bill to be voted on the House that only included sexual orientation after previously introducing an employment non-discrimination bill that included sexual orientation and gender identity. You have been a Commissioner on the Massachusetts Commission on GLBT Youth and the Massachusetts Commission on Unaccompanied Homeless Youth. What are the most salient issues affecting LGBTQ+ youth in the United States today? That we still have LGBTQ homeless youth in general and that parents, foster homes, and/or families still get away with disowning their kid and they are not held accountable for kicking them out and putting them in danger. These parents should be paying child support to the programs that pick up the pieces. Homelessness and poverty are solvable issues, yet as a society we continue to not solve these problems and too often blame poor people and poor young people for their situation. Being homeless can and does interrupt the trajectory of a person’s life. I know this. I failed out of college the first time, because I was homeless and trying to work 3 jobs at 18 years old. I was then not able to get my degree until I was almost 40 years old, because constantly trying to get out of the cycle of poverty, my potential was stunted because of that experience and today, I am still making up for lost time. I am excited to say I am buying my first house at the age of 44 with my husband. From your experience as the Director of Programs at the Pride Foundation, what are some ways that cisgender queer and trans* communities can collaborate to work towards social justice and equality despite differences? I think just understanding that experiences of discrimination are often based on assumptions about gender expression. When we work to eliminate sexism and gender expression discrimination we are doing something to lift up the whole community. First thing for cisgender queer and straight people, stop talking FOR transgender people and talk with us, that would be awesome. How can people become and continue to be informed allies to trans* youth and adults? One easy way to self-educate, read books or watch documentaries, attend a Transgender Film Festival, Seattle’s is in May, set a e-news alert for transgender stories. Question “gay rights” history and why no transgender people are visible in books and some films about Stonewall. Encourage more gender categories on forms in school, work, etc… we don’t necessarily need 50 (but thanks Facebook for giving us all something to strive for!) but at least 4-5 would be great. Allow space for people to self-identify, not just trans people, write letters to the editor when positive and negative stories come out about transgender people. Donate to transgender projects, organizations, and causes. Transgender movement work is the least funded and yet often has a wide impact GLB as well. How have trans* people diverse in race, ethnicity, gender, socioeconomic status, spirituality, and ability worked together for activist causes? What have been challenges and strengths in this collaboration? This could be a dissertation… short answer is yes and we still need have a long way to go on dealing with racism and classism in the transgender community, much like the GLB and the larger population. What was it like participating in The “Trans-Form The Occupation” as part of the Occupy Wall Street movement? What is your perception of the movement overall? Awesome! Just being at Occupy Wall St was amazing as an activist, especially as I was so involved with Occupy Boston. I was just inspired by the number of people that showed up to participate in a workshop that required us to use the “human mic” – I said something then the crowd repeated back so everyone could hear it… might be the loudest transgender 101 I have ever done. The connections made between trans justice and economic justice were incredible, I made so many allies and friends from being a part of that movement. You have also been actively involved in protecting wild lions from being captured and killed. How do you see animal and human rights activism fitting together? Easy, when we disrupt the eco-system by eliminating one animal in the larger eco chain we are hurting ourselves especially in terms of adding to climate change and destruction of the environment. For instance, eliminate lions from the plains of Africa, the herbivore population animals are unchecked and can decimate the grasses, which then can lead to drought… as an example. In addition, what right do we have to trophy hunt an animal in extinction or use up all the land it lives an hunts on, there are similarities to how we treat some people as less than because of who they are and how land ownership and gentrification pushes some out to the farther edges with least amount of resources, this can also be seen in how we treat animals, particularly wild animals. What insights do you have for aspiring activists? Breathe, self-care, and work in collaboration or a group. I did not do anything and everything alone, I would as part of a team or group, sometimes I was the most visible and other times I was in the background. Check your ego against what is best for the community and the larger movement and always go with community. Know when to step aside as a leader and make space for new leaders to emerge. That for me is one the main reasons I stepped down from MTPC and moved across the country. I wanted to make space for new voices and leadership in Boston and Massachusetts. Besides just trying to be really good at my job as a grantmaker with Pride Foundation, I have recently been elected to the Seattle LGBT Commission. I am excited to work on city level policy and contribute to my new community in that way. I really enjoy being civic engaged. As for other creative things, I have a startup project, Making Waves Coaching & Consulting (http://makingwavescc.wordpress.com/). Through Making Waves Coaching & Consulting, I am looking to coach/support artists, activists, creative professionals and entrepreneurs in developing their practices and self-confidence in promoting their craft, their brand, and their passion to the world. This will also include developing social media campaigns and marketing strategies for artists, activists, creative professionals and entrepreneurs.